There are a lot of things to remember to pack when you are headed on a trip – whether it is for business or pleasure – but are there certain credit cards that are better for use when travelling than others? Not necessarily in terms of any rewards they might offer but just for their general usefulness? Often the answer is yes. These days most of us use our debit cards on pretty much a daily basis, cash is certainly becoming something very few of us bother to carry anymore. When you are traveling though many financial experts suggest that you should use your credit card instead of your debit card whenever possible, especially if you are traveling abroad. Why? Because if your card is lost or stolen the law now decrees that your credit card simply cannot hold you responsible for more than $50 worth of unauthorized charges – and most cards have a 0% liability these days – but that is usually not the case with most debit cards. Even on domestic transactions it typically involves a “bank investigation” of between 30 and 90 days before you get any of the money that was taken out of your account without your authorization put back into your account and many debit card holders find that getting it all back is very hard indeed. The same holds true for disputed charges. If you have been (you believe) double charged for an in room movie on your hotel bill if you pay by credit card disputing that charge is as easy as making a single call to your credit card issuer. The charge is put on hold while the matter is investigated. Again, that is rarely the case with a debit card. 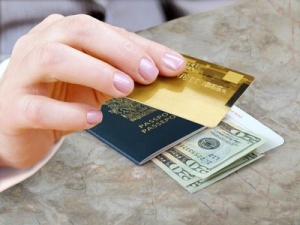 One last reason to use a credit card instead of a debit card when traveling? Credit card companies work 24/7. You bank may offer 24/7 support but actual transactions can usually only be disputed during normal bankers hours – 9am – 3pm Monday to Friday, not much help to you if the problem arises on a Saturday afternoon! Do You Really Need That Travel Insurance? Often when you book a vacation you will be advised you should purchase additional travel insurance. What many consumers often do not realize is that there is often more than a few travel insurance benefits already attached to their credit cards – even those not touted as travel credit cards – that make purchasing extra travel insurance an unnecessary extra. For example almost all credit cards offer rental car insurance if you rent the vehicle on the card – making the extra insurance that the rental companies offer an extra expense you really do not need to pay for. The same holds true for airline travel. For example all of the credit cards that Chase issue come with a $300 luggage delay benefit – thats delay not loss, so that you can purchase essential items until you are (hopefully) reunited with your delayed baggage, which is a lot more than the paltry $25-$30 credit the airlines offer. Another example? Discover credit card holders (all of them, not just the travel rewards cards) automatically receive air travel accident insurance which covers them in the event of injury whilst in the air and also provides a death benefit in the event the unthinkable should occur. And American express is almost legendary in the credit card industry for the worldwide travel assistance they offer to their credit and charge card holders, offering everything from help with a lost wallet to assistance making a dinner reservation at a hot local restaurant. So therefore before you buy extra travel insurance take a look at your credit card agreements. Often you will find that just by using your credit card to pay for your airline ticket or reserve your hotel room you have all the coverage you need and more already. In addition to earning you miles or points many credit cards can score you automatic discounts, upgrades and other special deals just by using it to pay for your travel expenses. Have a Visa credit card of any kind (credit card, not debit card)? Use it to pay for your passage on a Celebrity Cruise Line trip and you are entitled to a two category cabin upgrade and free travel insurance (just remember to ask for it). Another benefit that you may not be aware of if you hold a Citi credit card is that use it to pay for your Hertz car rental and you will get 10% off your rate, whether you are renting for a day, a week or longer. And if you are headed to a Six Flags theme park using an American Express card at the food concession and souvenir stands earns you a 15% discount which considering just how much it can cost to eat and drink at these kinds of theme parks is a handy discount to have! If you want to save money and get the most from your travel experience whatever credit card you hold it will certainly pay to get out that credit card agreement and check all the benefits that your particular card has to offer to a traveler. Specialist travel cards will usually have more to offer but may not be useful to you on a day to day basis if you only travel once or twice a year for vacation, a cash back credit card may be better. However as you can see even “regular” credit cards offer travel benefits that will be well worth taking advantage of.